Near white blooms with slightly ruffled edges and a green throat. Daylilies are superior low maintenance landscape plants and are adaptable to almost any conditions, even salty or boggy areas. Continuous bloom can be planned from June-August by selecting several cultivars. All parts are edible. 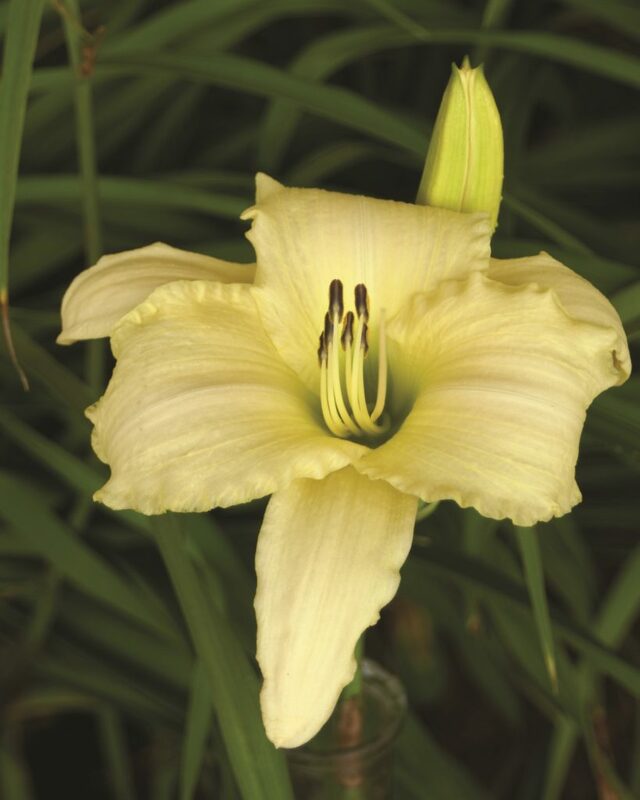 Care tips: After flower stalks turn yellow or brown, cut to the base. If foliage turns unsightly, cut to the ground for a new flush of green. Photo courtesy of Gilbert H Wild & Son. One of our Wicked Ruggeds, a list with our choices for perennials that stand the test of time... rugged, hardy and durable.